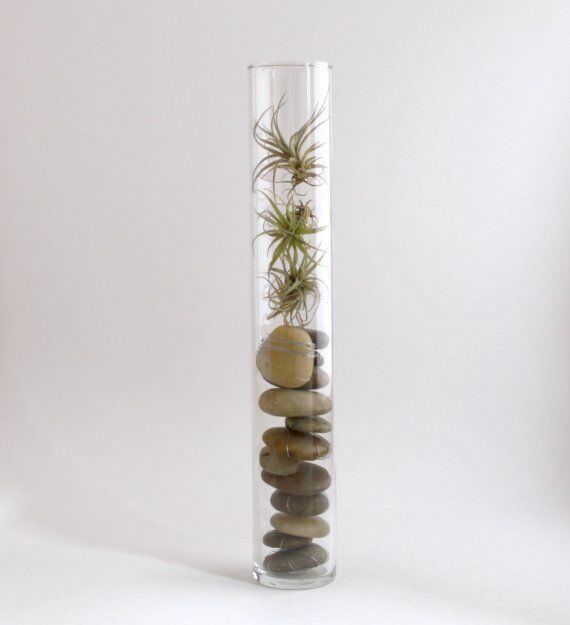 Creative Ways to Decorate with Air Plants! I admit it, most of my life, I have hated trends. I like to be original, and blindly following trends seemed so…not! But with age and wisdom, I’ve come to realize that blindly not following trends is just as bad… In fact, many trends today fall right into line with things I love, like nature, simplicity…and lucky me, things that are original. Air plants are one of those trends. 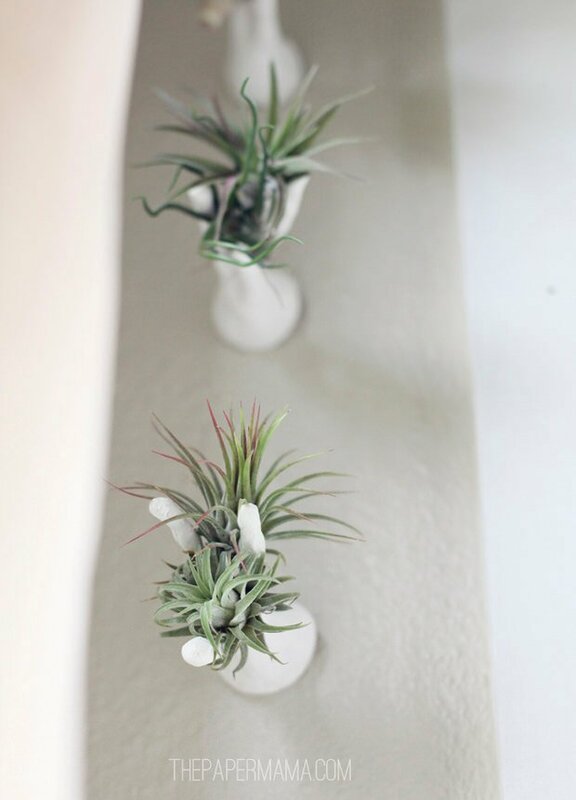 Also called Tillandsia, they are easy, interesting, unique, and because of their habit of not needing soil, can be used in decor! (Oh, and they fit into small spaces wonderfully!) Here are some really creative ways to decorate with air plants, and I truly recommend you give it a try. 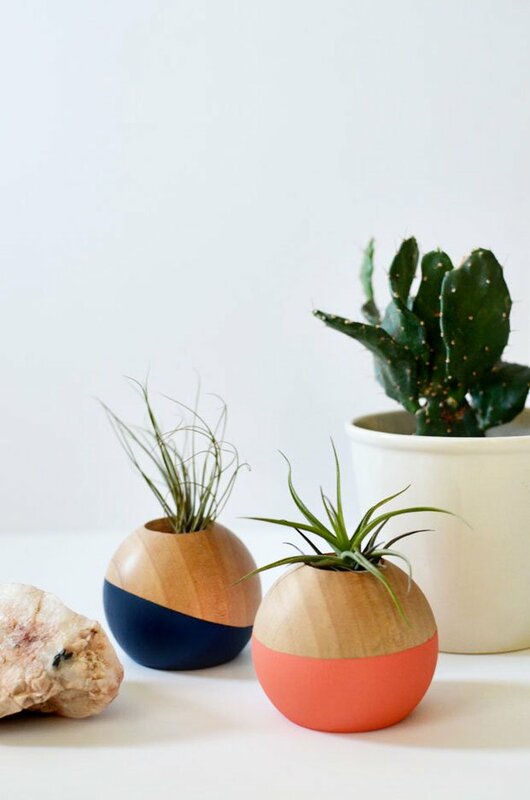 Read to the end, we have some tips on keeping your air plants healthy and happy! Our first photo is from ‘Flora Grubb Gardens‘, and is an inspiration on how to display air plants! Their cube atrium gardens (below) are unique, but if you try to DIY this project, also from ‘Flora Grubb‘, remember, the plants require air to live. You can’t just turn a vase upside down on them. 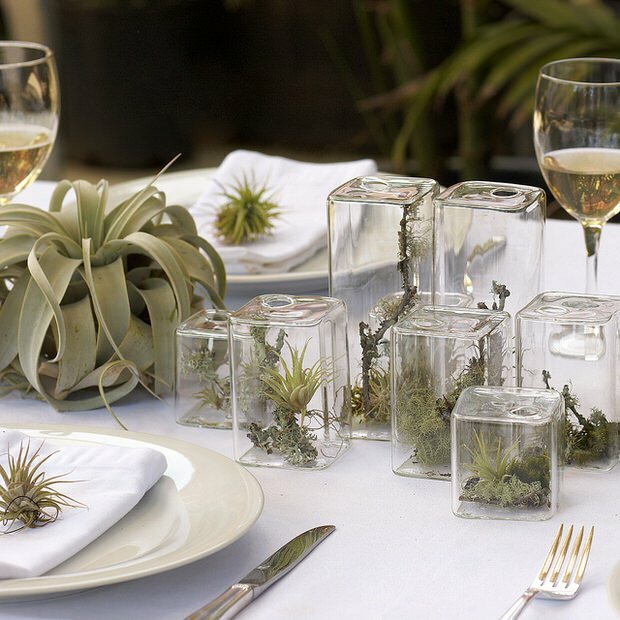 Look how they used these air plant cubes to create an amazing tablescape! 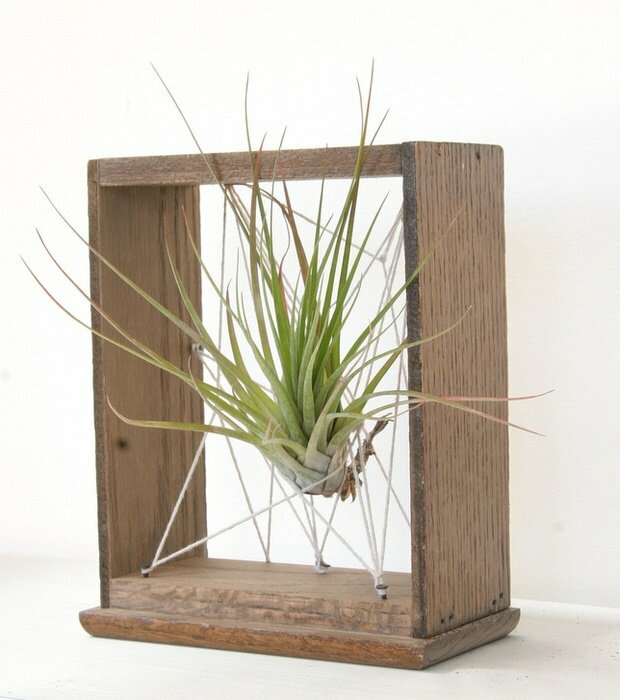 ‘Design Sponge‘ showcased this great project for hanging air plant containers, made of recycled materials, no less! Easy way to decorate with air plants. More inspiration from Flora Grubb… did you ever do string art? It would take nothing more than some scrap wood (the older there better) some small brads or tacks, and some string. Oh, and an air plant! This is an easy work of art. ‘The Paper Mama‘ has a great tutorial for this air plant wall hanger made from a picture hanger and some clay! Check out the site to see how she displayed air plants as wall art in her home, it looks amazing! This inspirational photo is from Tortoise Loves Donkey… Can you get all kinds of ideas here? Read this step by step for a color blocked air plant pot from ‘My Cakies‘… Easy, and made from inexpensive doll heads found at the craft store! Wow… total inspiration on this one, but I couldn’t help but include this because it’s so incredible. This is taken at Bok Gardens in Florida, so obviously you would need to do this indoors, or in a warm climate. But wow! Photo by ‘From the Garden Bench‘. More inspiration for displaying air plant projects… this one from Knotty Nature Art. Finally, we have this simple and minimal piece of art from LBrandt… Can you see how easy this would be to create if you choose not to purchase such a piece? Love this! If you want to know more about how to grow air plants, then head right on over to Flora Grubb to get the basics…and it is easy! Give these great plants a try, you can find them in any nursery or order them online as well. We love air plants! Learn how to decorate and display air plants, and how to care for them too! We think you will also want to check out our posts on Indoor Vertical Garden Planters and Clever Ways to Decorate Your Hallway.